Since we are sliding straight into March and St. Patrick’s Day, I’ve decided to share 5 songs to help you feel a little lucky this month. Enjoy! So keeping in line with the thoughts about self-care . . . I seem to be hearing more and more about the benefits of caring for your self and how that helps others around you as well. (Glad that rest of the world is finally catching on). I have friends making pilgrimages to healing places in order to focus on the next phase of their lives and frankly, I find myself needing to relax every now and then and NO–sitting in front of the TV doesn’t count. I am not a fan of being distracted. I enjoy letting all of my distractions go so I can regroup and recharge. My whole life I have been one of those girls that wants to spend a week or more at a renowned spa anywhere in the world. I have found some pretty great places but here are 5 more on my list. We tend to spend a lot of time showing our love to others this month and while I highly recommend us always showing love to others, I decided to give a quick reminder that we need to show love to ourselves as well. Loving ourselves is self-care and helps us be that better person in the world around us. When we take care of the inner person we are able to take care of others, show more compassion and empathy–and . . . love. Try it! See how you respond to others when you take some time for yourself. Here are 5 quick ways to show love to ourselves. Share with me your ideas as well! Say, “I Love You” out-loud while looking in the mirror into your own eyes. This might be awkward but the more you say it out loud the more your soul will start to believe it and you will find yourself less judgmental of others. Step outside. It doesn’t have to be long but you need to walk long enough to take 10 deep breaths. 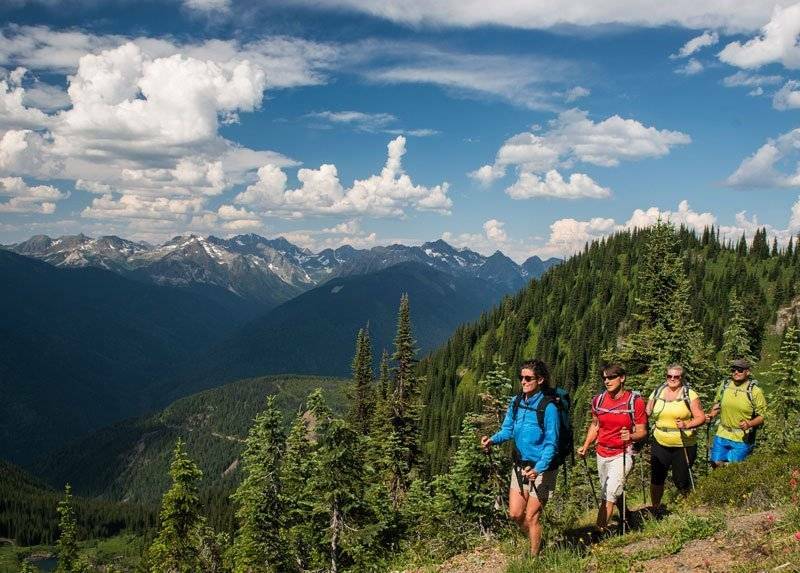 It really is amazing what fresh air and deep breathing can do for your body and mind. It will help you refocus, calm down, and bring more energy to continue on. Be present in the moment. Do you ever wonder how you got from one point to other? Do you lose your train of thought too quickly? Stop trying to be present in everything and start being present where you find yourself. Only good comes from this and some examples are; cooking better because you don’t forget things, driving home without being in an accident, and listening and engaging when others are talking. Shut off electronics and go rogue. I know a lot of people talk about this but they are saying it for a reason. Instead of switching on the TV at night to decompress, try reading a book, playing a game, completing a puzzle, or playing an instrument. The possibilities are endless! Enjoy your food. For one meal or dessert, try not eating to just get through it and get back to what you were doing. 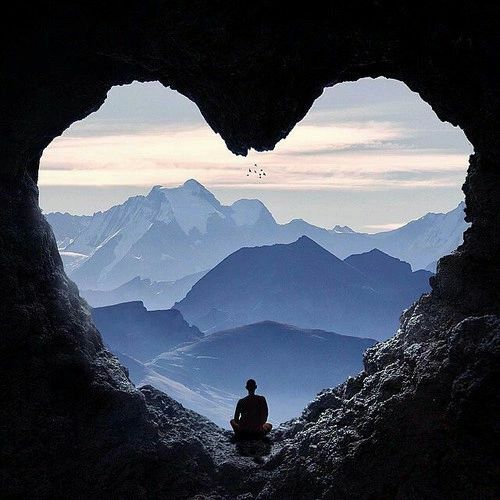 Actually sit down with no other intention than to enjoy what has been placed in front of you. Relish every bite and enjoy the moment. Your body will thank you for not just shoveling food into it. So I am kind of excited that we get to start this new year off with a rare occurrence . . . the Super Blue Blood Moon. It is pretty incredible that we are able to witness some of these things and that we know when they will happen. If anyone doesn’t know what I am talking about here are some links to help acquaint you with the event that happened on January 31st. Thank you Newsweek for the quick account of the event and NASA for the live stream of the event. To honor this awesome event; here are 5 things to keep the theme of the moon alive. 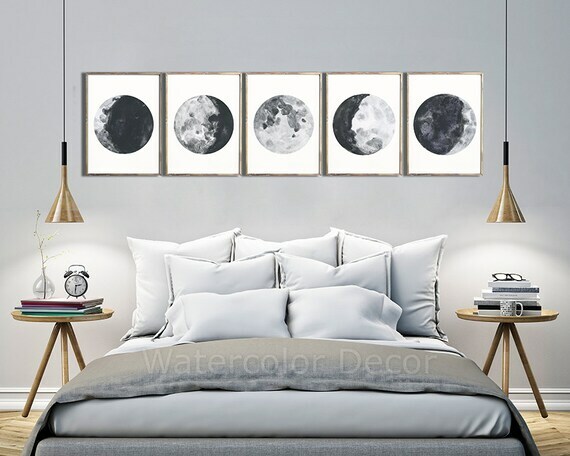 Decorate your space with some awesome moon inspired artwork. I love this vendor on Etsy. I have actually seen these lamps around town and I really like them. Aren’t these cookies so clever! Enjoy them from Cadry’s Kitchen. 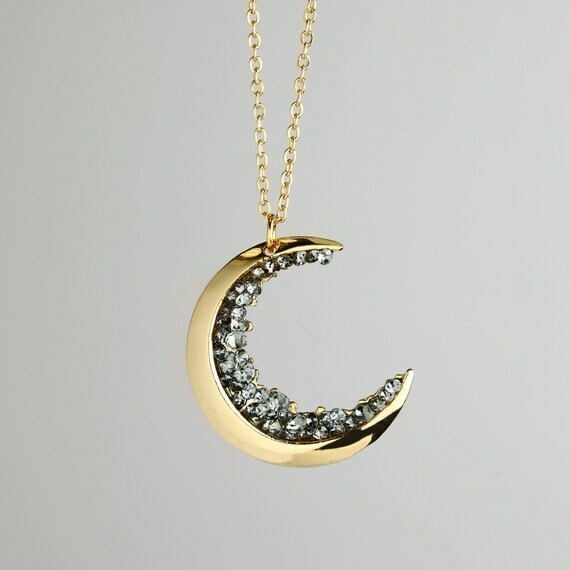 I love this necklace and it’s tribute to the moon and stars by Mignon and Mignon. 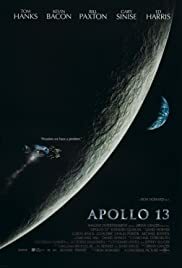 Just in case you need to be reminded about how great it is to be an astronaut and attempt a landing on the moon–watch Apollo 13 again.